DENVER, June 20, 2017 /PRNewswire/ -- TeleTech Holdings, Inc. (NASDAQ: TeleTech), a leading global provider of customer experience, engagement and growth solutions, today announced the release of its HumanifyTM Customer Engagement as a Service (Humanify) offering which provides end-to-end (human, digital, automated) customer engagement across and around all touchpoints with humanity at every interaction. "In a connected, service-driven world, customer engagement with context is the key to growth," explained Ken Tuchman, Chairman and Chief Executive Officer, TeleTech. "Digital disruption has driven a seismic shift from a product economy to a service economy and now into an experience economy. In this new world, engagement – the ability to attract, acquire, nurture, retain and grow authentic, long-term customer relationships – is the only way forward. Creating experiences that are distinctly human and engaging, regardless of whether the delivery method is person-to-person, digital, or an automated interaction, is the key to growth and differentiation." "For years, TeleTech has delivered customer lifecycle services including strategic planning, technology solutions and operational excellence for care and growth services," said Kyle Priest, Chief Strategy and Marketing Officer, TeleTech. "Humanify Customer Engagement as a Service provides TeleTech clients the ability to leverage insights, technologies, and our services, all delivered with our unified methodology by our exceptional people. They are true brand ambassadors for our clients, working hard each day to create, deliver, and continuously improve engaging experiences for every customer we serve." The offering weaves together TeleTech's core services and unites them with Humanify Technology Platforms, Humanify Insight Platform and a unified delivery methodology. Central to the technology platform is a robust set of omnichannel capabilities that combine fluid data and insights with seamless touchpoint/channel interoperability to provide frictionless performance and continuity. For more than 35 years, TeleTech has been delivering customer experience excellence on behalf of leading companies worldwide, reflecting the company's philosophy that everyone deserves experiences that are simple, inspired and more human. The launch of Humanify Customer Engagement as a Service represents the next step on the company's journey to help clients evolve to meet the changing needs of their customers. "In a world of ongoing disruption in the domain of customer experience delivery, enterprises are desperate for new and innovative approaches to managing today's digital consumer," said Peter Ryan, Principal, Ryan Strategic Advisory. "TeleTech is among the leaders at the forefront of developing the integrated strategies that companies across vertical markets need to ensure first rate interactions across both traditional and emerging channels." According to Forrester's Kate Leggett, "Competitive differentiation achieved through brand, manufacturing, distribution, and technology management is now only table stakes. A major source of competitive advantage is the one that can survive technology-fueled disruption — an obsession with understanding, delighting, connecting with, and serving customers. This means the need to effectively manage customer relationships has never been more important. *"
"Companies far too often seek customer experience partners based on antiquated metrics that measure the productivity of the agents' performance as opposed to the higher value metrics of increased revenue, profitability and improved customer loyalty," continued Priest. 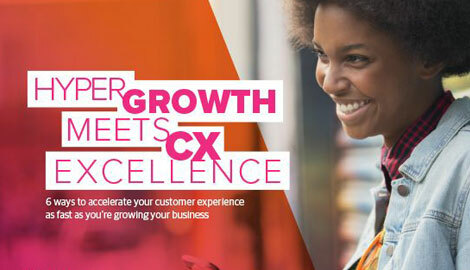 "Listening, understanding and adapting to a customer's need in the moment, based on context plus cognitive capabilities, enables transformative experiences and interactions, making customer engagement a vital imperative for all companies." Every day, TeleTech associates interact with millions of customers across the globe. The company is proud to serve the customers of some of the most successful companies on the planet, managing interactions that take place with customers 24/7 in more than in 23 countries through 82 customer engagement centers on six continents across social, mobile, digital and face-to-face channels. For more information on how TeleTech is bringing humanity to business through Humanify Customer Engagement as a Service, visit teletech.com.